Are you running a modern LSx drivetrain in an older vehicle? 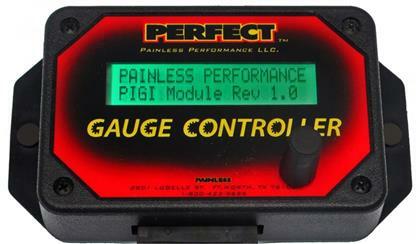 If so, you have probably contemplated how you are going to run all of your aftermarket gauges. Up until now your only option was to purchase all the sensors you needed individually and install them to run just the gauges, even though your modern LSx drivetrain already has the necessary sensors integrated into its computer control systems. 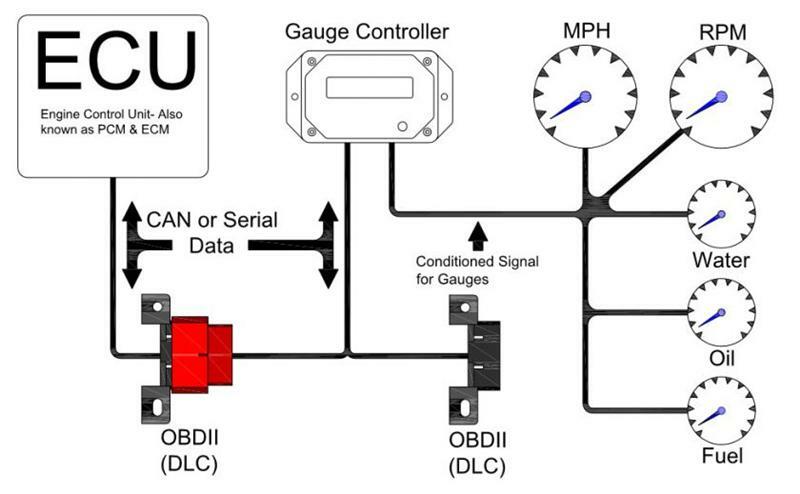 If running redundant sensors seems a bit…well… redundant, then the LS Gauge Controller is just the product you need. This module uses the information that is already available through your OBDII port, eliminating the need to run duplicate sensors for your various gauge functions. This information is communicated through a system called the “Controller Area Network”, or CAN for short. Once the Gauge Controller Module has been connected to the CAN system you will have the ability to run most aftermarket speedometer, tachometer, coolant temperature, oil pressure*, and fuel level* gauges. The Gauge Controller Module takes the raw data from the CAN system then converts it to a simple user programmable signal for your aftermarket gauges. The module is compatible with all gas engine drivetrains from General Motors that are 1996 and newer. All of those will support speedometer, tachometer, and coolant temperature. Select applications will also support oil pressure and fuel level. See the specs page for more information.